As a food blogger, one gets to visit a lot of new stand-alone restaurants and hotels. 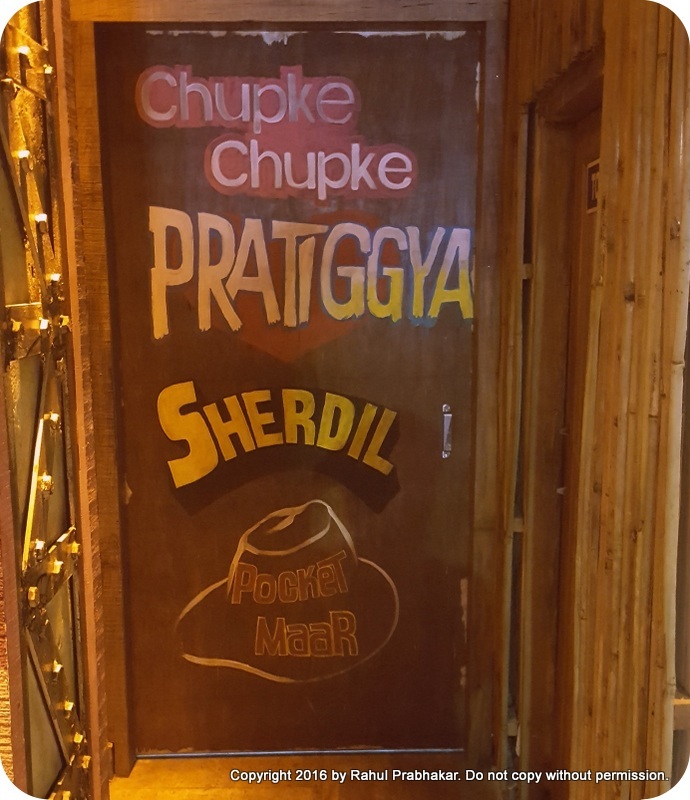 But only a few properties stay with you long after you leave. 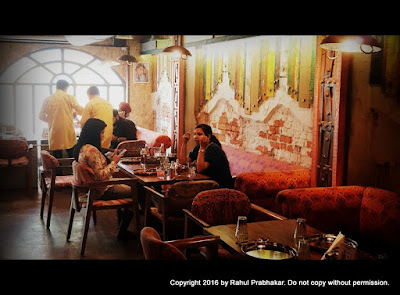 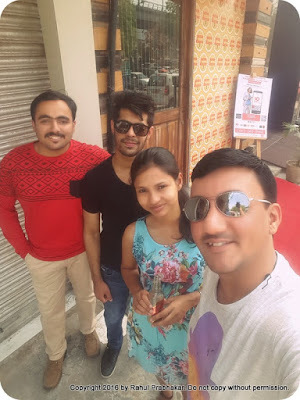 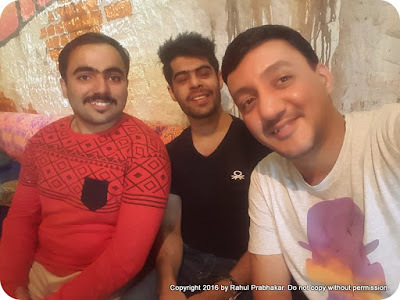 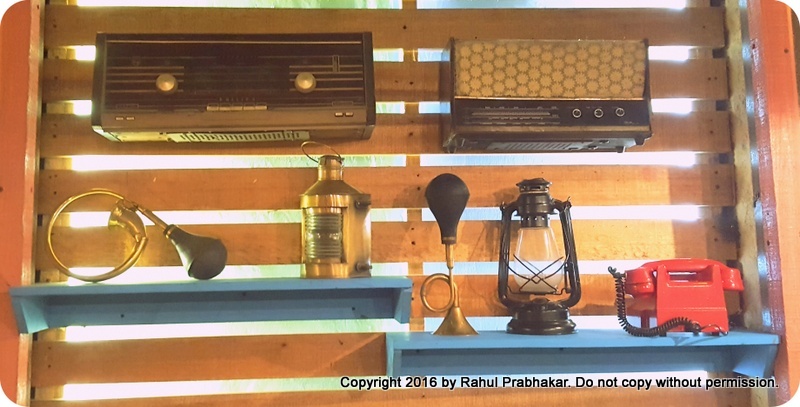 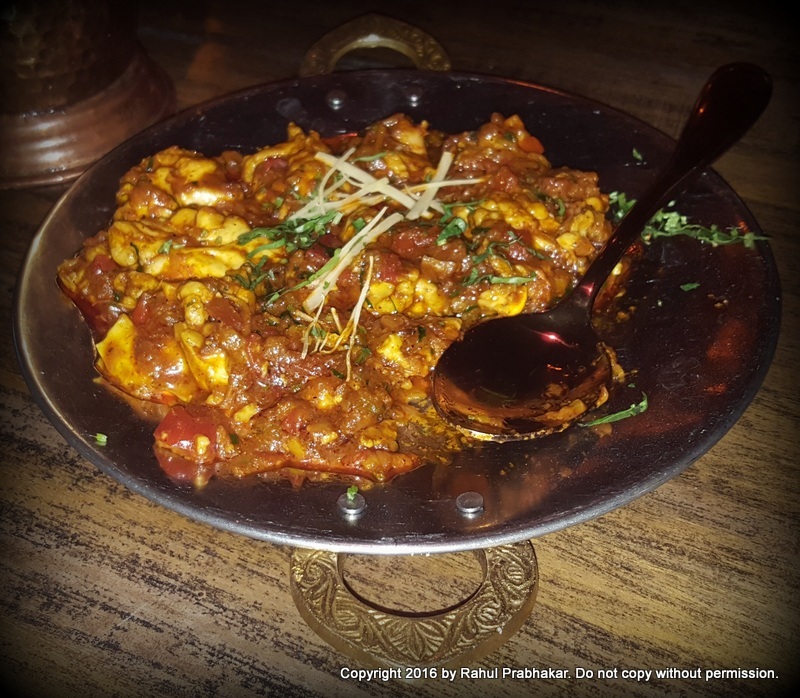 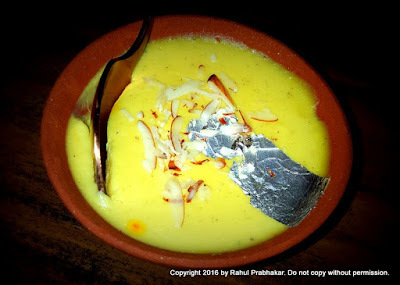 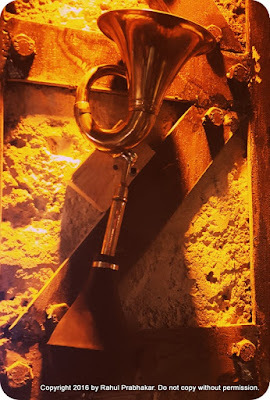 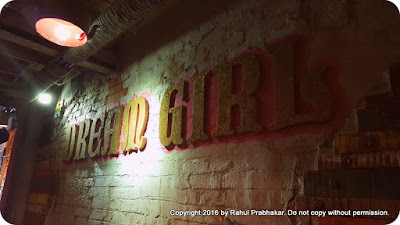 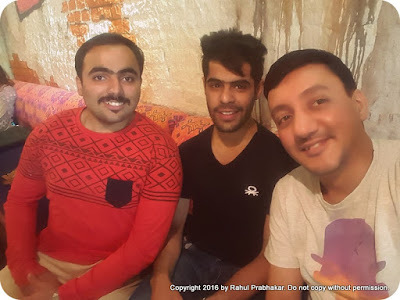 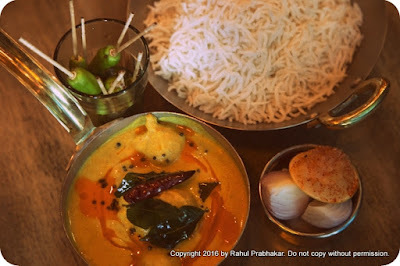 In this blog post, I am going to cover one such property that still continues to woo me with its unique concept and inspired menu. 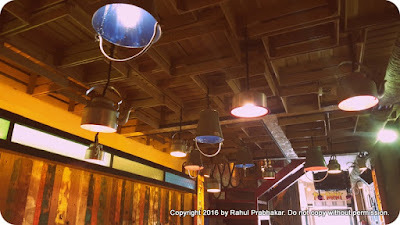 Last Sunday I attended a bloggers table at Garam Dharam, a newly opened Punjabi food outlet at Rajouri Garden, Delhi. 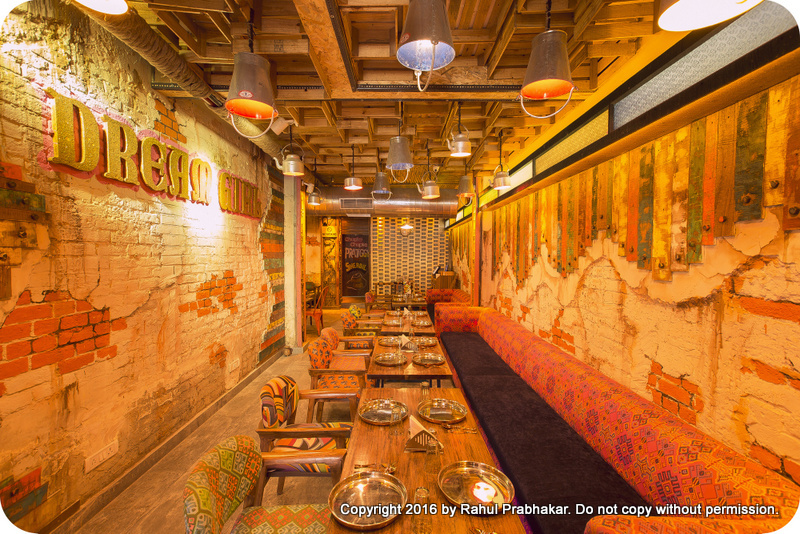 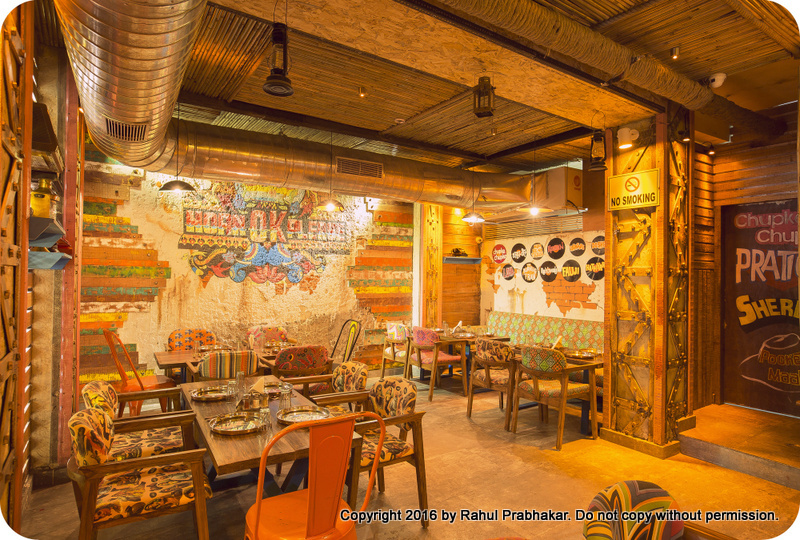 Brainchild of famous restaurateurs, Umang Tiwari and Mickey Mehta, Garam Dharam 'Dhaba Te Theka' is not an unfamiliar name for food aficionados of Delhi. 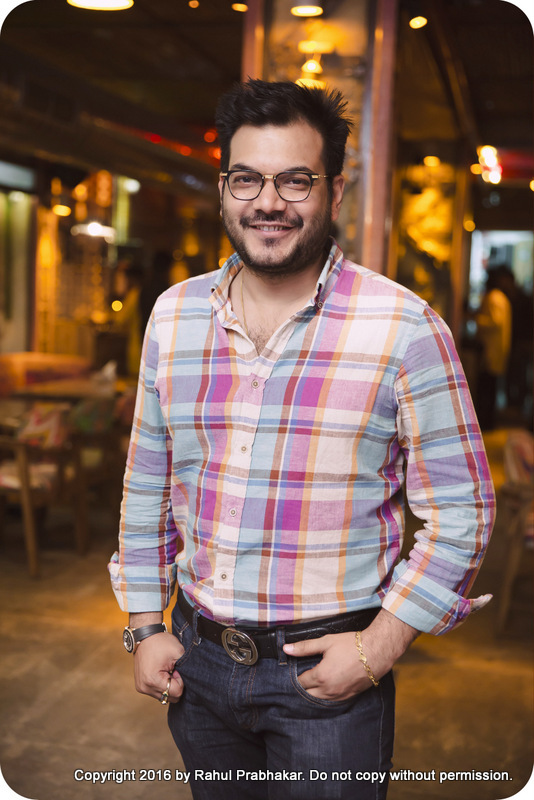 Having created quite a stir in the bustling M Block market of Connaught Place last year, Garam Dharam is expected to recreate the same success story by catering to foodies in West Delhi. 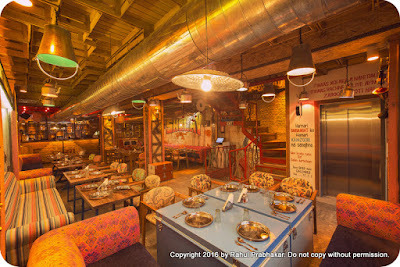 Already a rage with families, Garam Dharam in its new avatar is spread over a magnificent 3000 square feet, offering glimpses from the life of the yesteryear Bollywood veteran, Dharmendra. 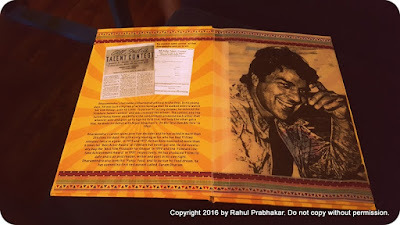 Umang's huge admiration for Dharmendra can be seen in full view at Garam Dharam. 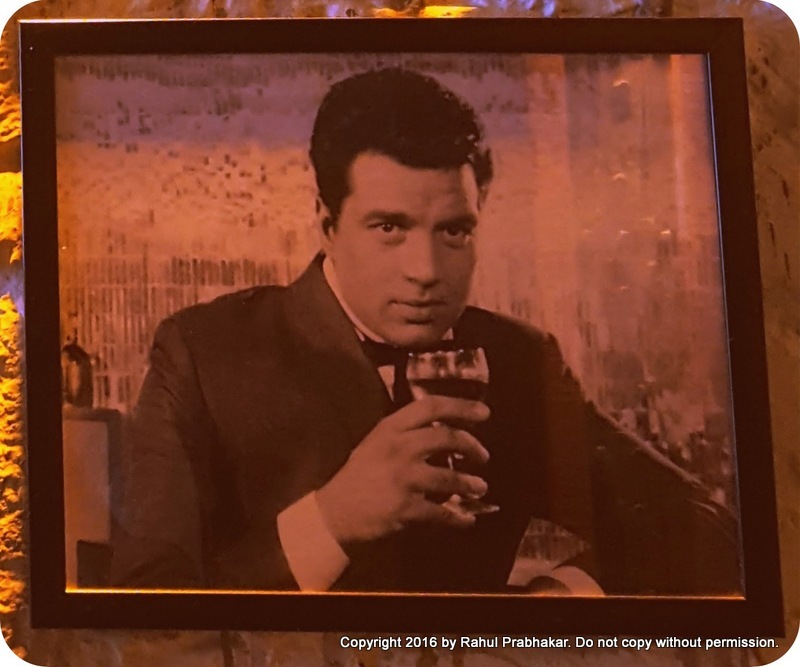 The restaurant has full-blown posters of Dharmendra's most popular movies and murals depicting his equally famous dialogs. Not only that, you'll also get to hear iconic Hindi songs from all his blockbuster hits. 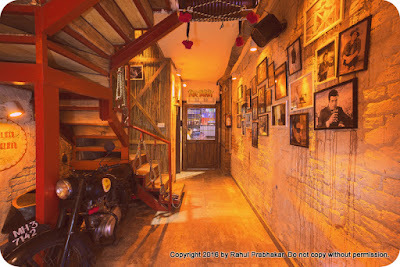 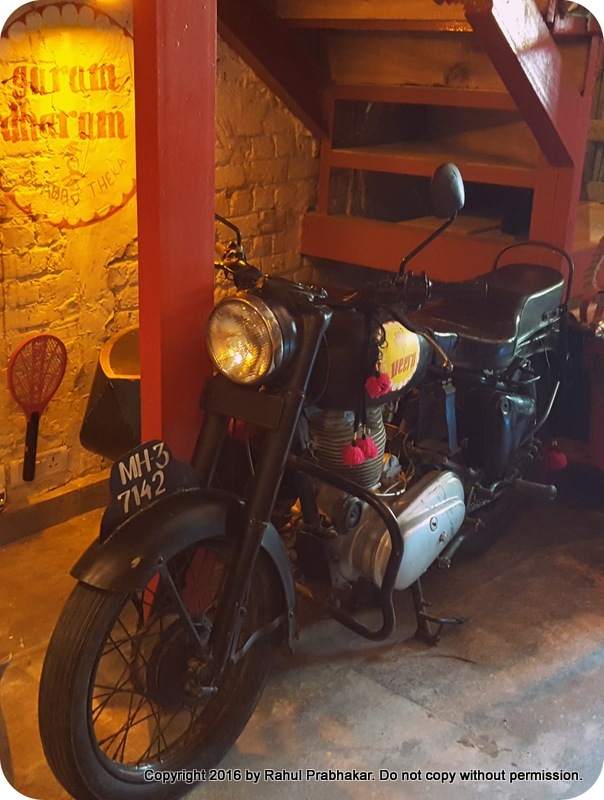 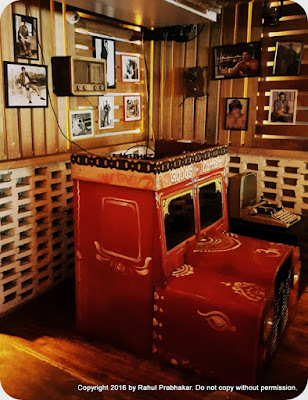 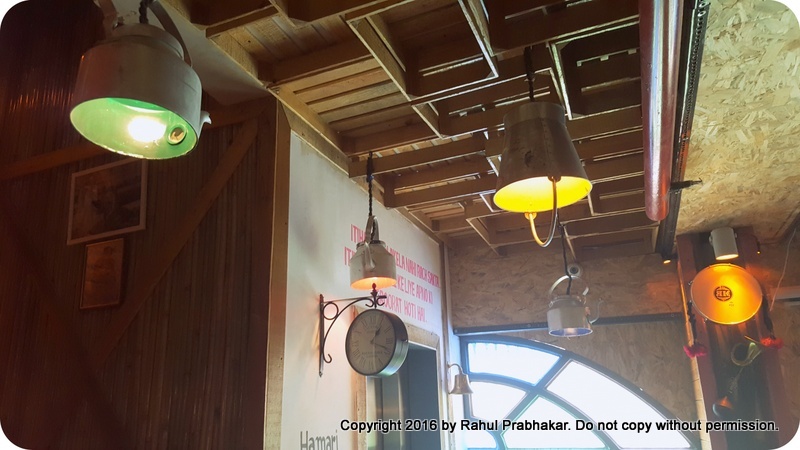 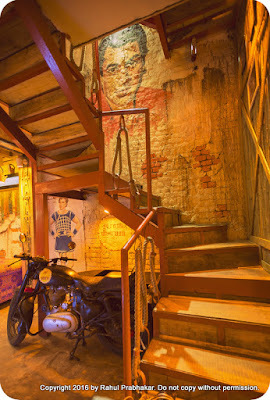 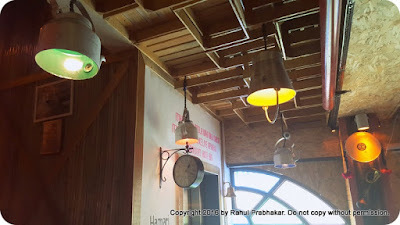 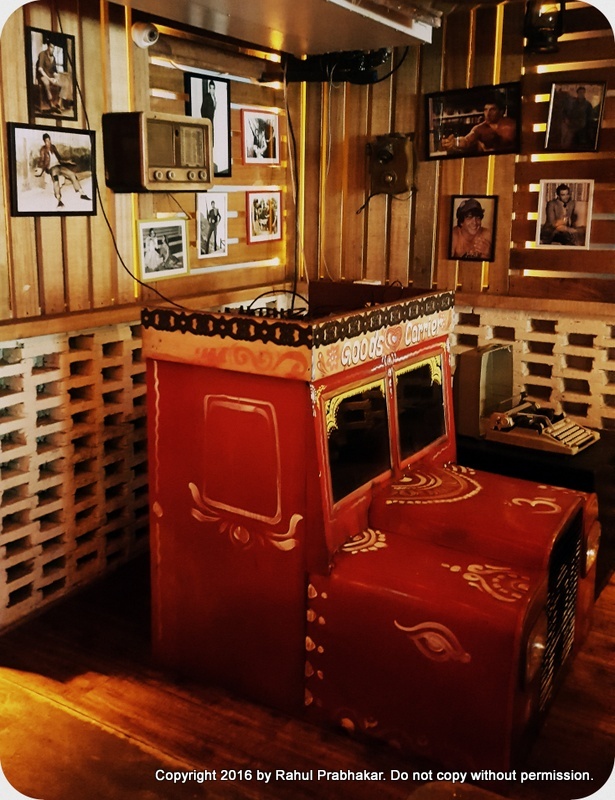 As a special incentive, the restaurant also features a replica of the classic bike from Sholay - yes, the very bike on which Dharmendra and Amitabh sang "Yeh Dosti Hum Nahi Todenge". 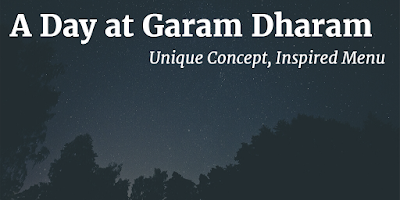 Needless to say, if you're a Dharmendra fan, Garam Dharam has it all to keep you entertained. 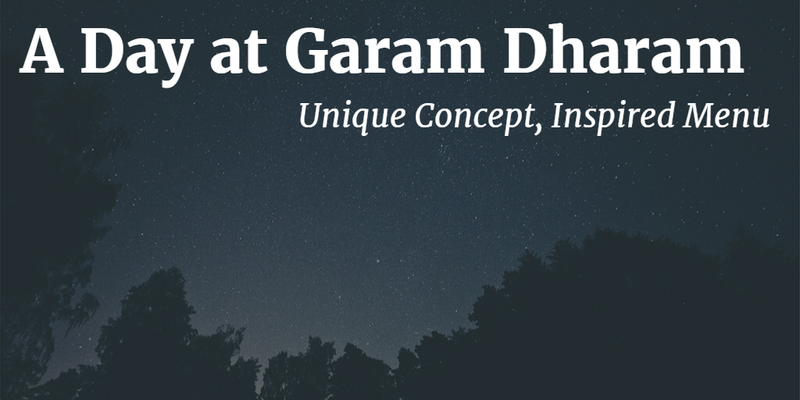 Coming to food, Garam Dharam intends to promote Dhaba food from every nook and corner of Punjab. It's the kind of highway food that you'd specially stop by to eat while traveling long distance. 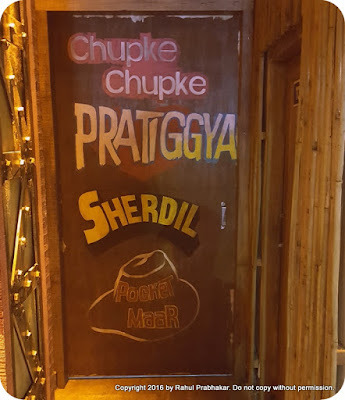 In that sense, Garam Dharam is truly a Dhaba inspired outlet. 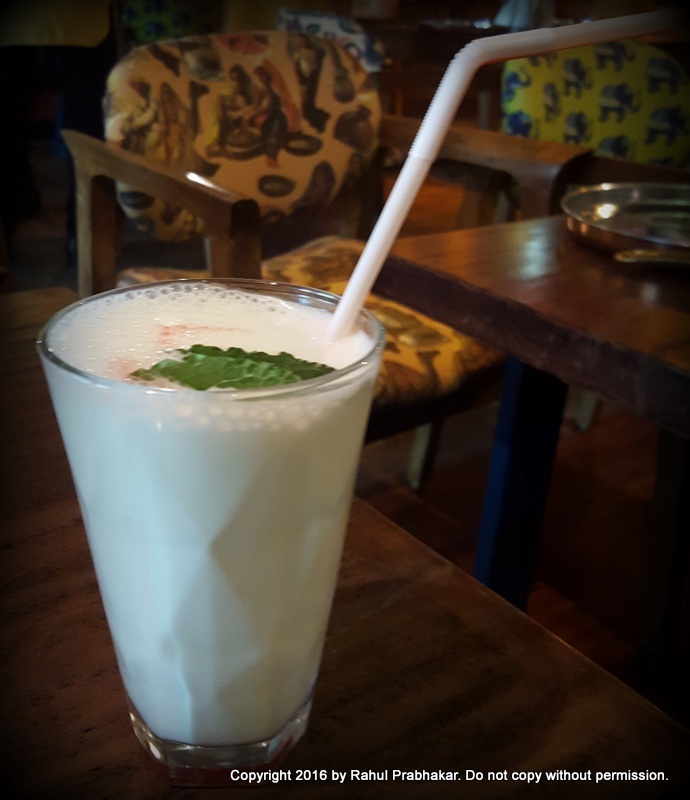 The restaurant is hailed for serving 'desi' themed mocktails and cuisines, reminding patrons of Dharmendra with each sip and every bite. 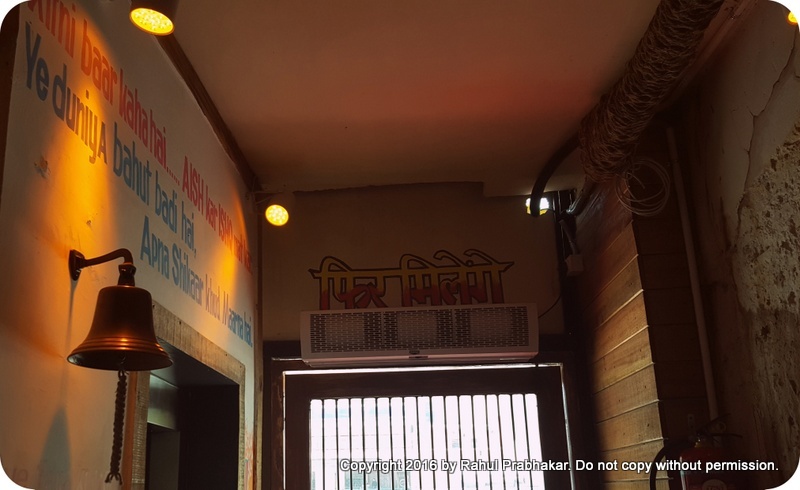 When Garam Dharam opened up in CP last September, there was a waiting of nearly 100 people on a daily basis just to grab a glimpse of the place. 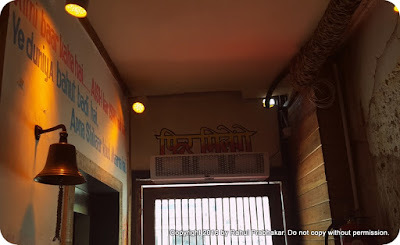 As a matter of fact, the restaurant was even endorsed by Dharmendra himself, given his huge liking for Punjabi food. 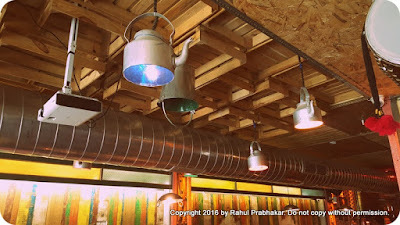 The actor also provided valuable insights on the decor. 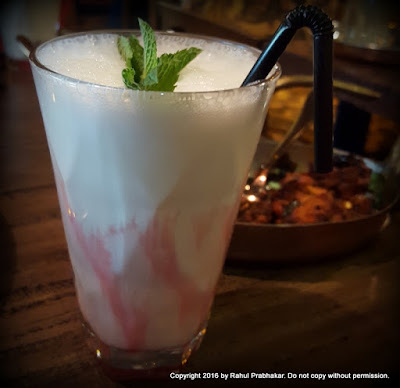 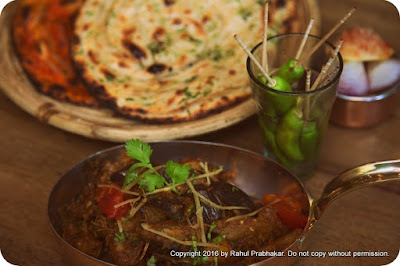 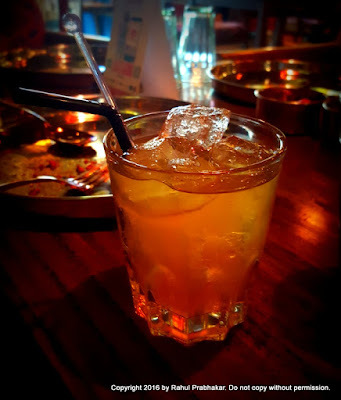 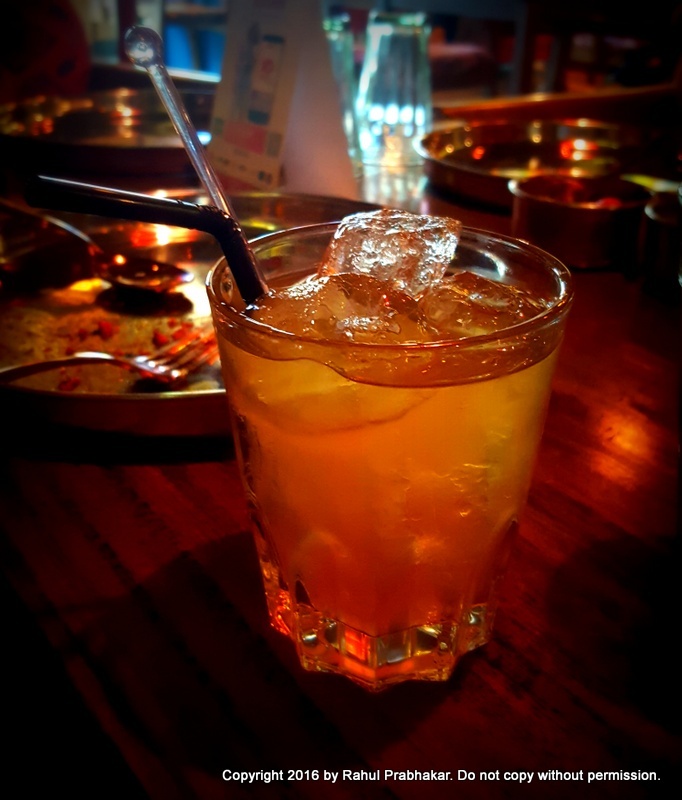 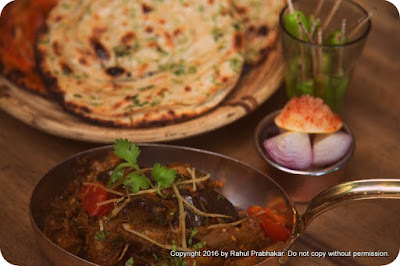 Here are my top recommendations for food and beverages at Garam Dharam. Soft, succulent chunks of paneer marinated in flavorsome Tandoori masala, and then grilled with veggies. 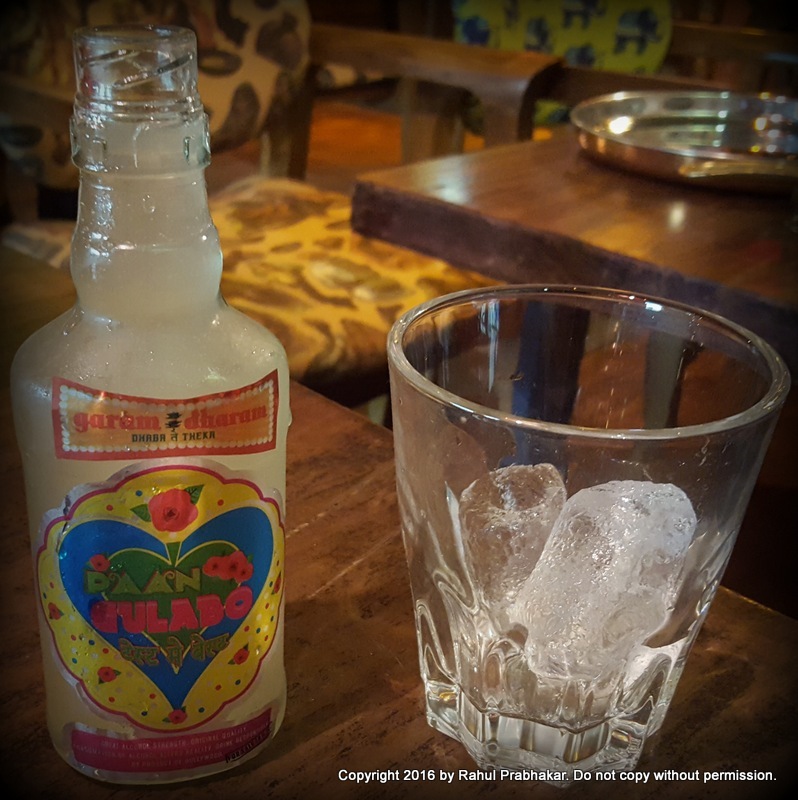 Served best with pickled onions and lemon wedges. 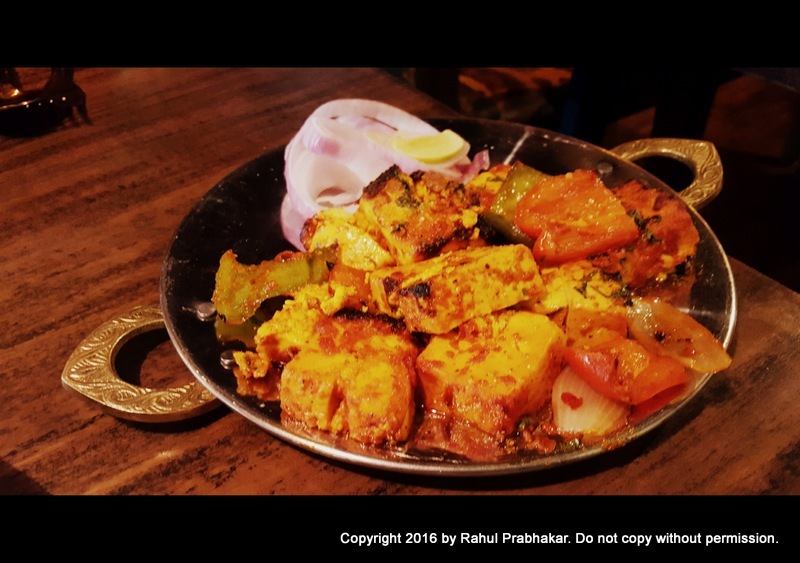 Prepared with chicken mince, poppy seeds, and Indian spices, these delicious kebabs are grilled on skewers and then cooked in a Tandoor. 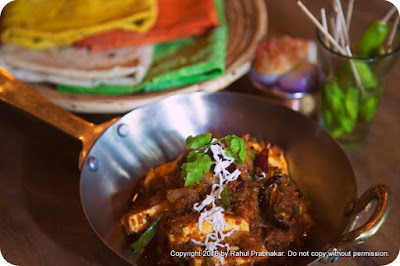 Served best with green mint chutney. 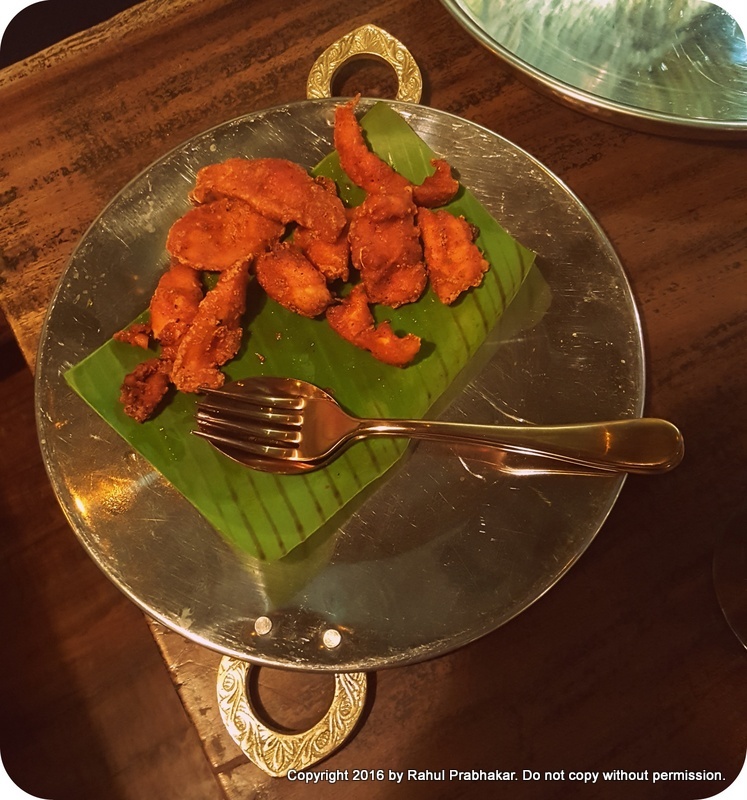 Made using Basa or Singhara fish, this delectable fried fish leverages a variety of Indian spices like turmeric powder, red chili powder, carom seeds (ajwain), chaat masala, etc. Usually made of goat brain, Tawa Bheja Masala contains a unique mix of tomatoes, finely chopped coriander leaves, coriander powder, bay leaves, black peppercorn, red chili powder, garam masala powder, ginger garlic paste, salt, turmeric powder, cloves, milk, and oil. 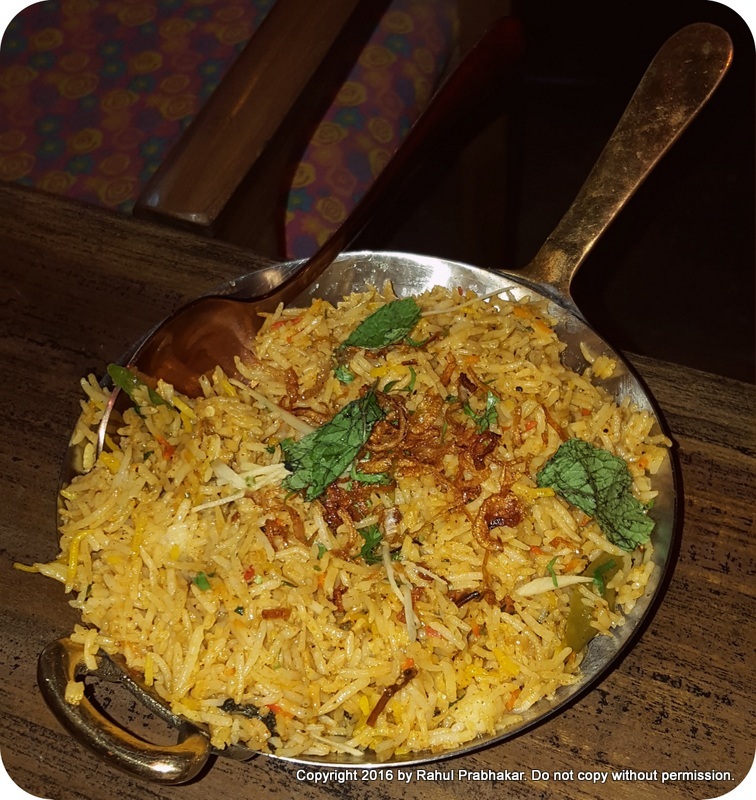 Classic Hyderabadi biryani prepared using spiced marinated lamb, basmati rice, fried onions, mint, and cilantro leaves. These classic, hot baked kulchas are stuffed with potatoes, onions, paneer, and Indian spices. 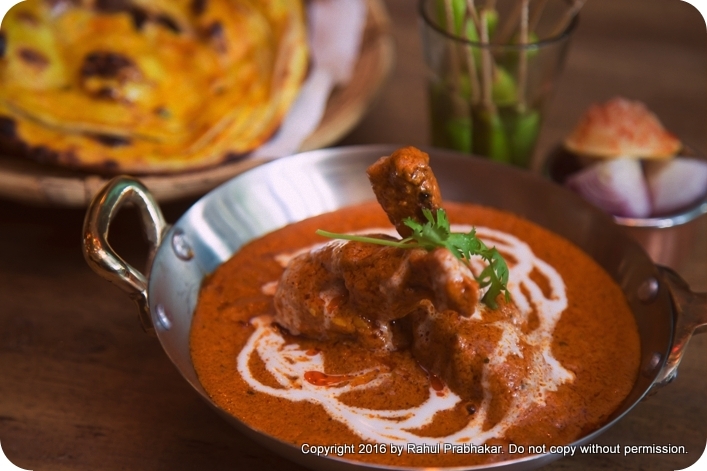 Served best with curd, pickle, or Punjabi chana masala. A classic North Indian dessert made of rice and milk, Phirni is served on festive occasions like Diwali or Karva Chauth. 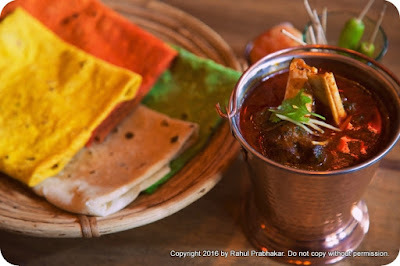 Very soon, Garam Dharam will be accessible to those traveling on the Murthal highway, as talks are underway to open a new outlet on the famous GT Karnal Road. 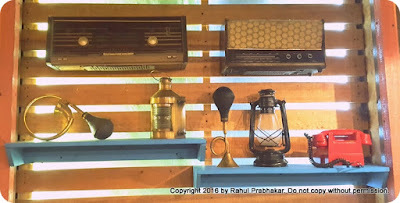 Until a few years ago, who would've thought that a Dhaba and a Theka could coexist together in Delhi; in that aspect, Garam Dharam is a trendsetter of sorts, beautifully blending rural with urban. 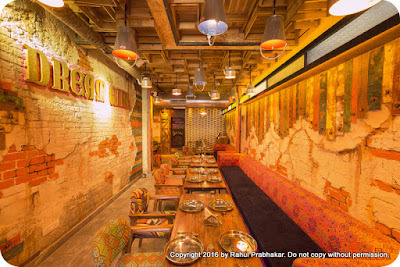 [Address: J 2/12, BK Dutta Marg, Rajouri Garden, New Delhi.